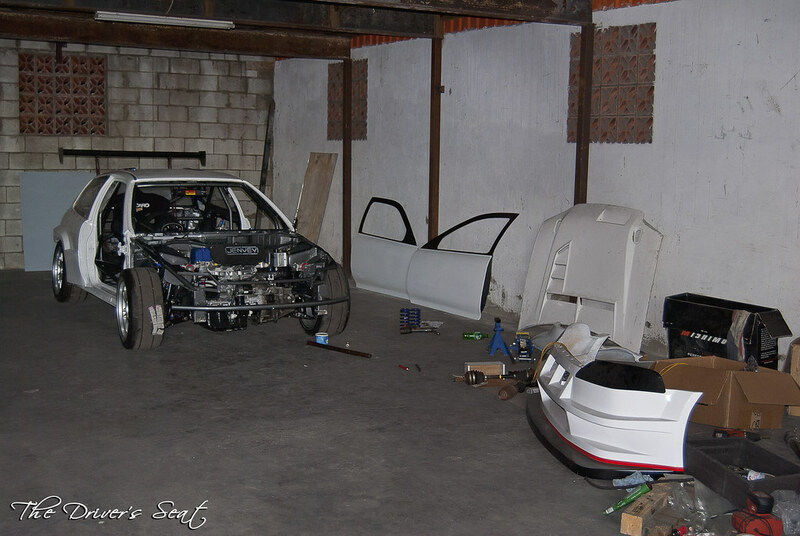 Today’s update is a very exciting one, Jerry has finally installed the motor. Naturally, I have some shots of that for you guys and I also get into some of the changes that have been made along the way. Like in any other post, below are the links to the previous parts so feel free to check them out if this is your first time viewing so you wouldn’t be completely lost. 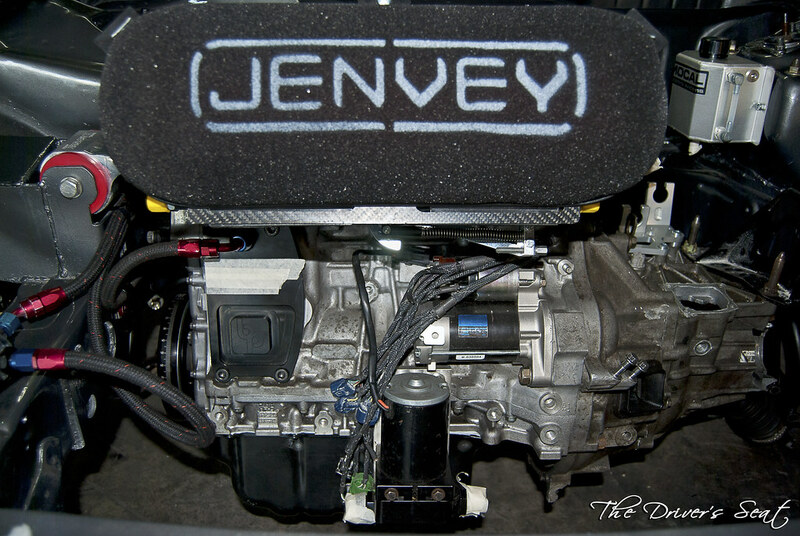 In order to get the maximum out of the motor Jerry will not be using an alternator. 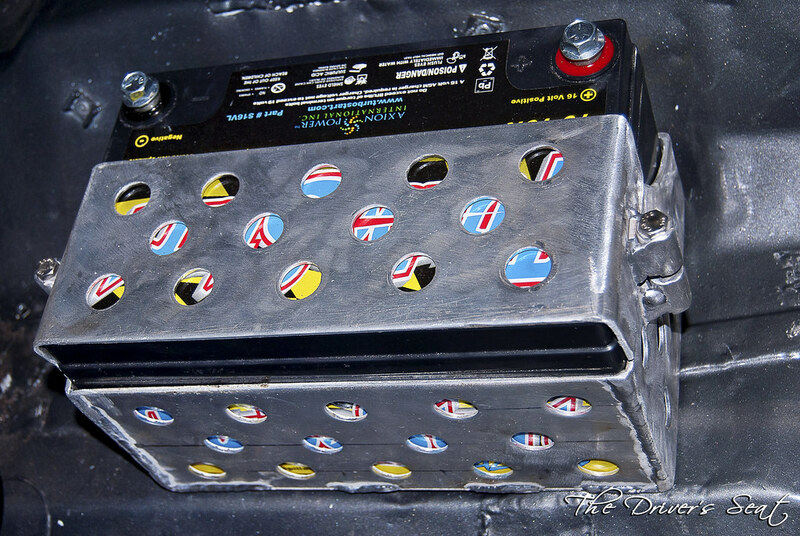 To ensure the battery has enough power to last the entire race he opted for a Turbo Start 16 volt unit. However, there is down side to this, even though these batteries are the lightest on the market, they still weigh in at 32lbs. 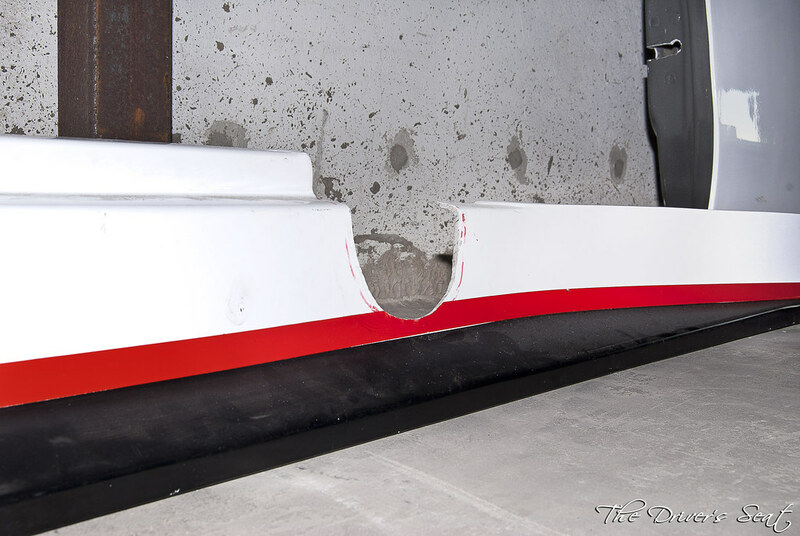 Now with this added weight on board, Jerry will try to use it to his advantage to achieve optimal weight distribution. 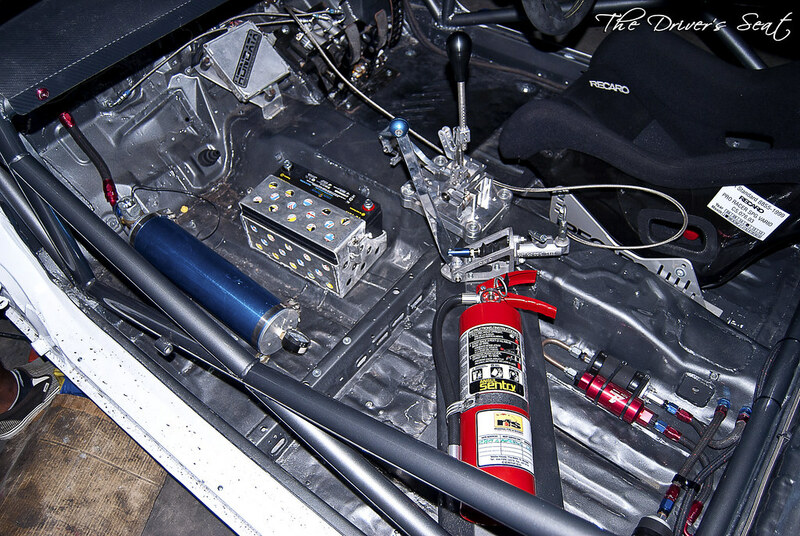 Here you guys can see the custom fabricated battery cage that was made to house the Turbo Start unit. 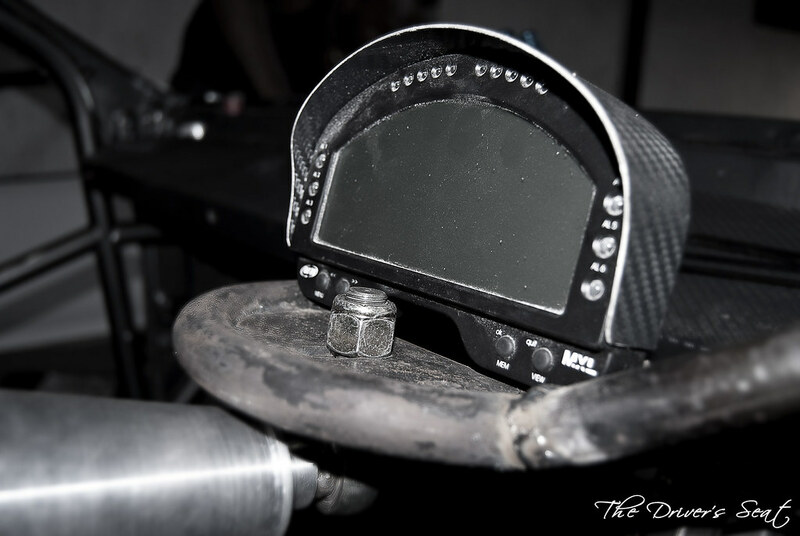 Another custom fabricated piece is the base which houses the AiM digital dash display. 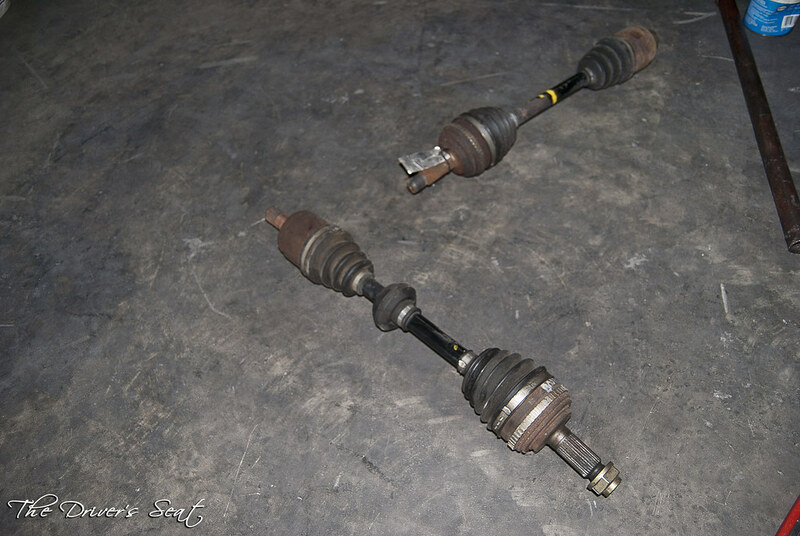 To ensure there weren’t any drivetrain issues, Jerry upgraded to Karcepts 36mm swap hubs with Integra Type S axles. 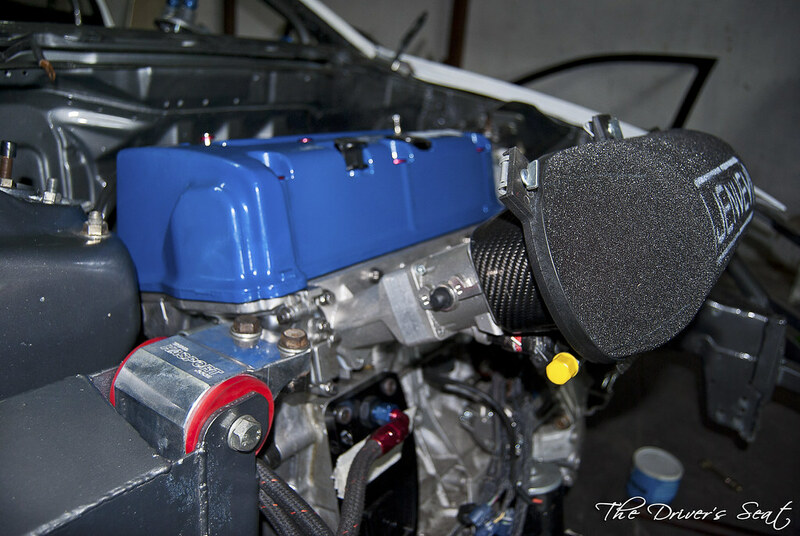 With the Civic taking up track duty, Jerry paid special attention to the suspension and handling aspect of this build. 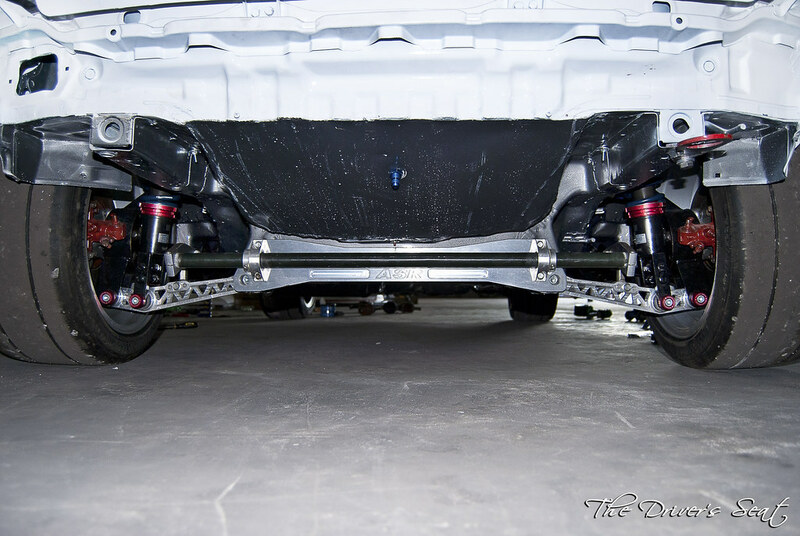 He went with upper and lower full spherical bearing control arms from Hardrace and Buddy Club race spec coilovers. 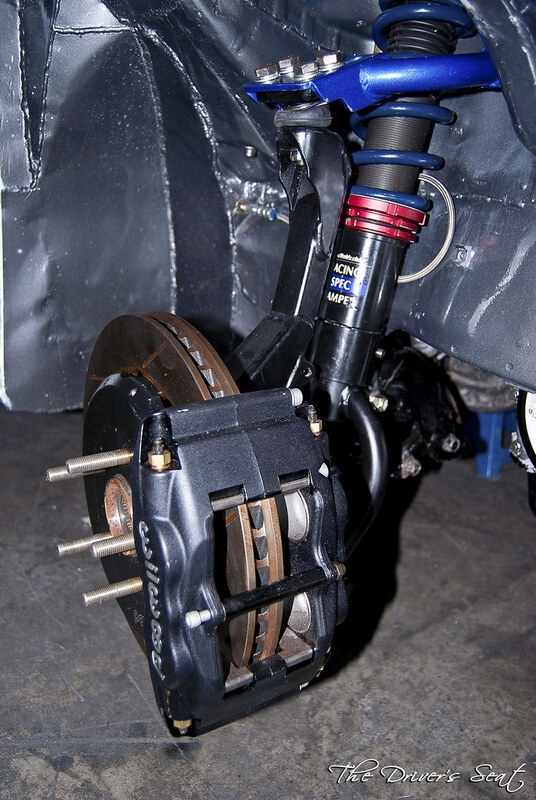 Stopping power was left up to Wilwood 13″ rotors with 4 pot calipers and steel braided lines. If you guys are observant you would notice the modification that was made to the wheel wells in order to accommodate the large 17 x 9.5 Enkei RPF1 wheels. 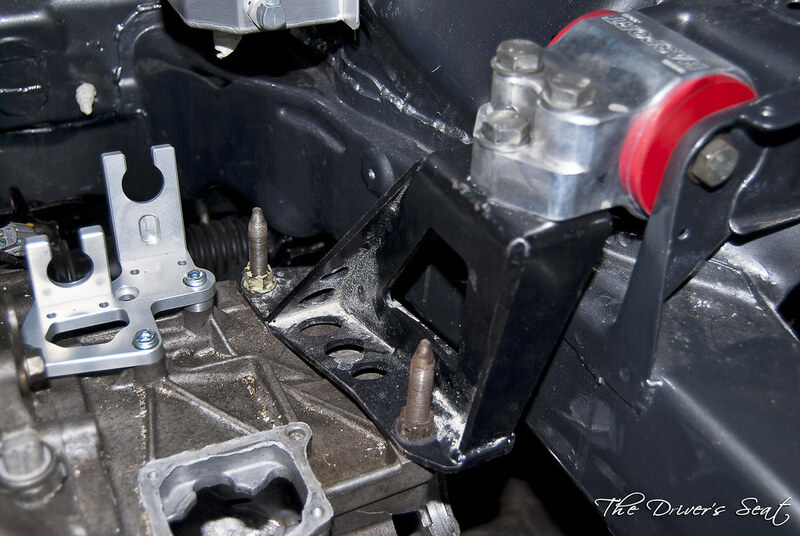 Along with the Buddy Club coilovers, the full DC2 Type R 5 lug swap, Function 7 LCAs, ASR subframe brace with a 32mm hollow swaybar matted to it were acquired for the rear. 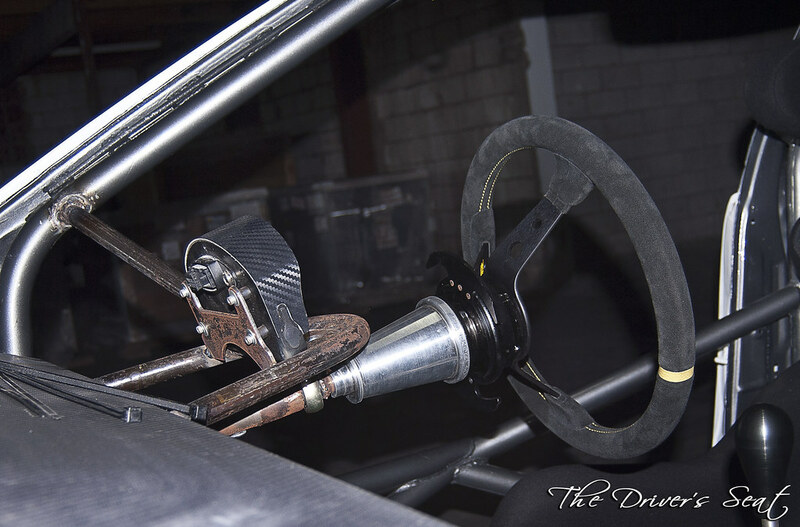 Stopping power was left up to 11″ rotors with DC2 Type R calipers. 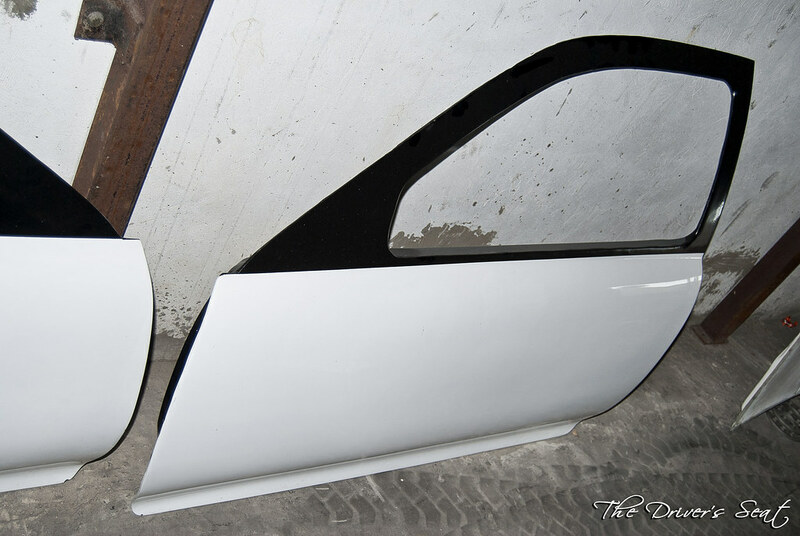 The modification that had to be made to the side skirt to accommodate for the side exit exhaust. The doors have been replaced with lighter fibre glass counterparts, you guys are probably wondering how will Jerry get in the car without any door handles. As progress goes forward I’ll be sure to post some photos of how the mechanism works. 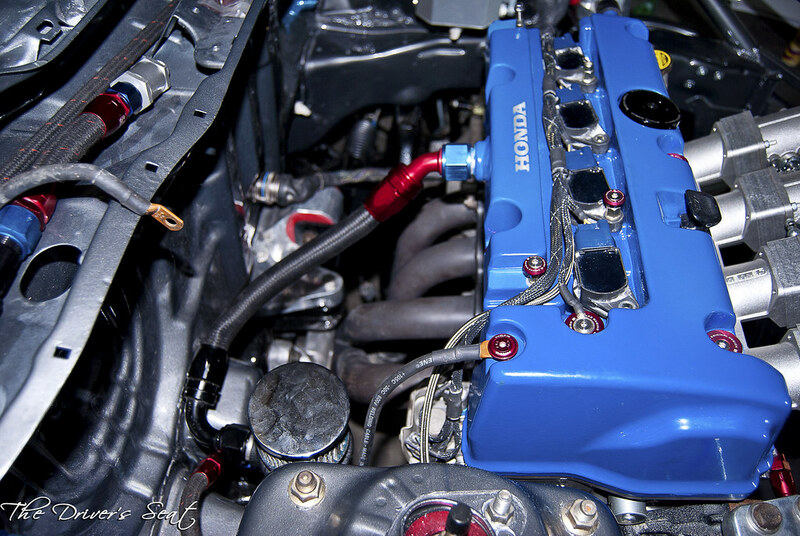 As far as visible changes go, you guys would have noticed the valve cover has been changed from red to blue and the RRC intake and Skunk2 70mm throttle body was ditched for a set of Jenvey ITBs with tapered 60mm carbon fibre trumpets and airbox. 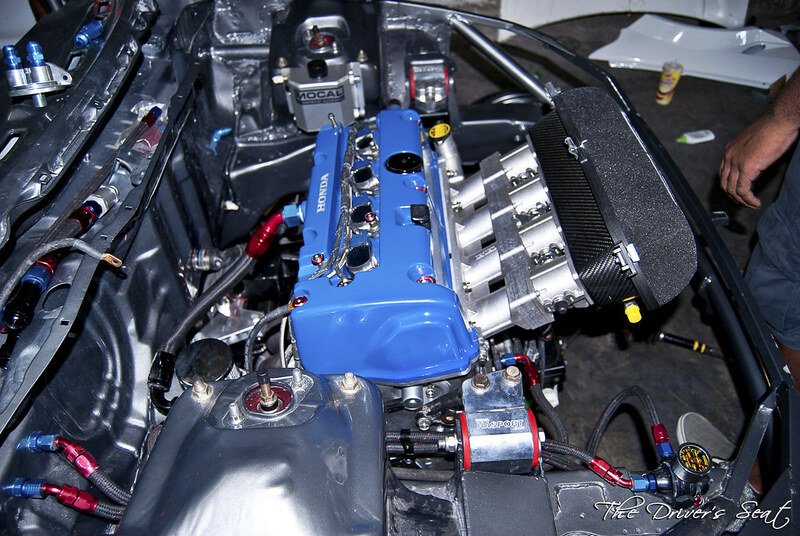 Even with this done Jerry still wasn’t fully satisfied, so in the mix of things he made some major changes too the motor. 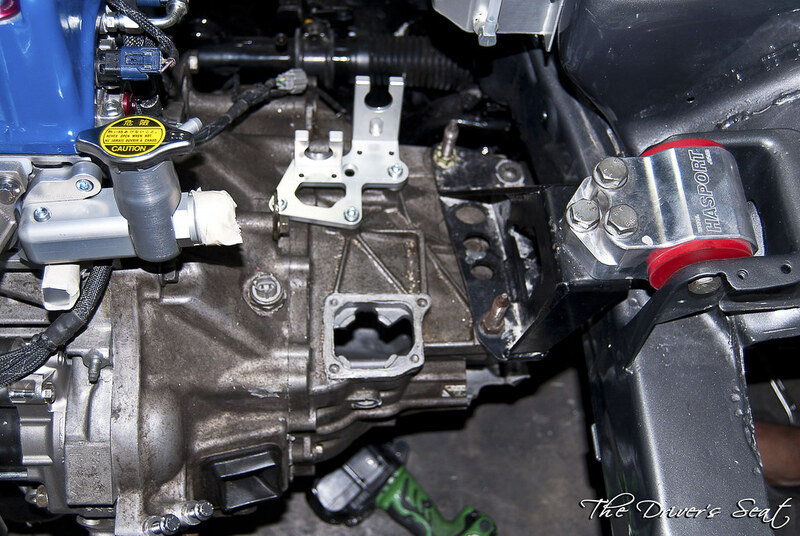 The block was pulled apart and Jerry had the crankshaft lightened and knife edged saving some significant weight in the process. He also took the time to swap out the Manley A-Beam rods for some lighter Carrillo rods. 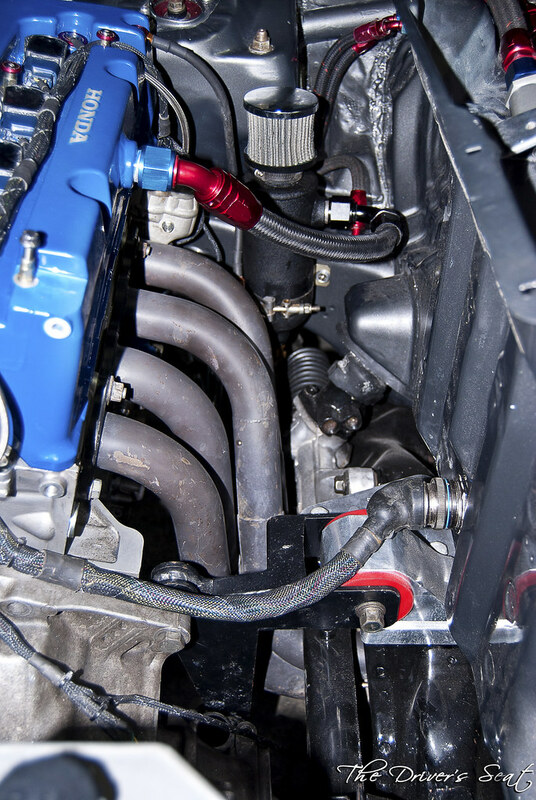 Working his way up, compression was raised through the use of a thinner headgasket and to top off these modifications, the decision was made to change from Blueprint Racing’s stage 2 camshafts to SVM’s 212 camshafts. 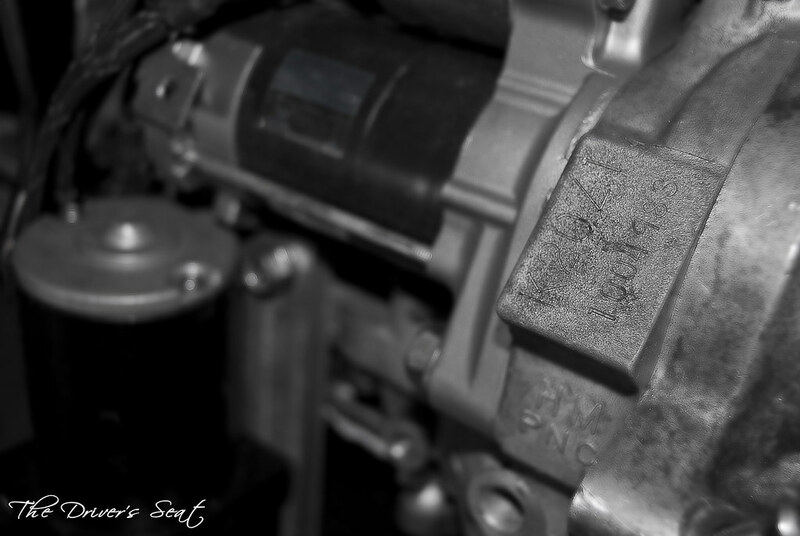 If you guys take a closer look you can see the Blueprint Racing alternator block off plate, as mentioned earlier Jerry will not be using an alternator and to make up the for this the use of a larger battery was required. Well, that’s it for today, thanks for taking a look and stay tuned for the next few updates to come. 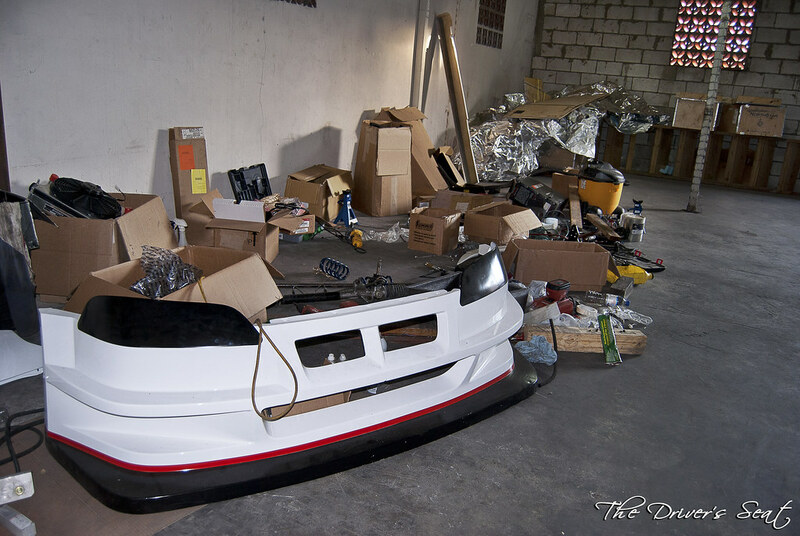 I’m going to close out today with one last shot of how the car sits.